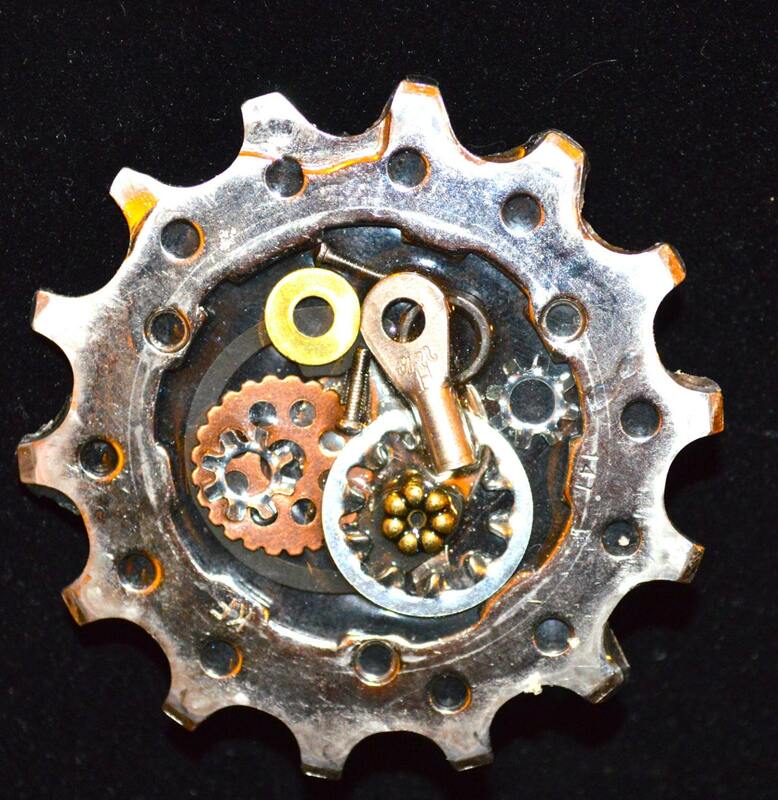 Stylish bicycle cog brooch with hanging bike brake cable wire and bike chain links. 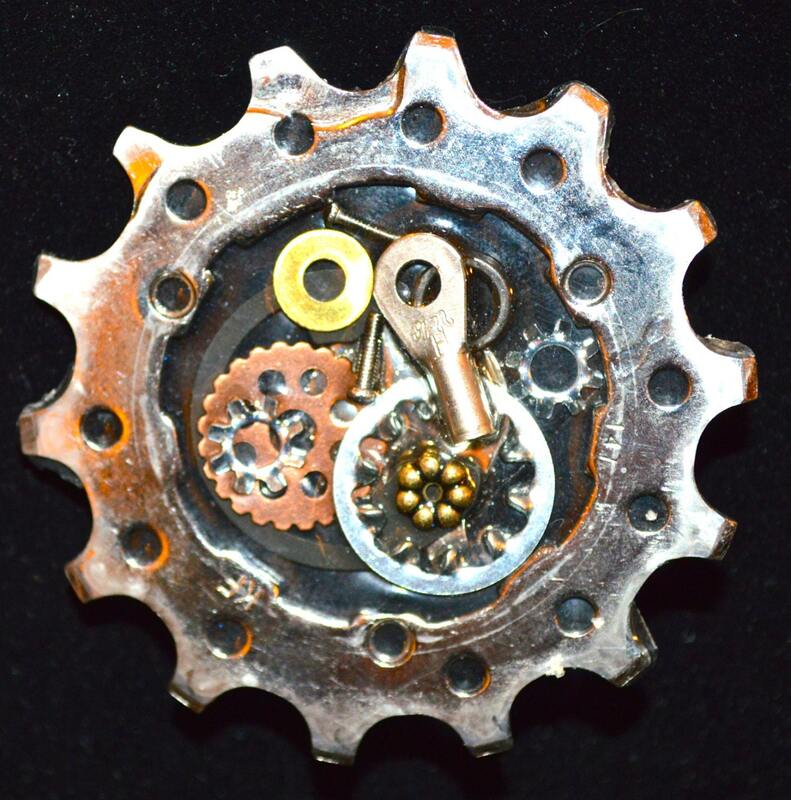 Inside the cog, gears, bike chain, plumbing rings, washers and metal chain are embedded to create an elegant and edgy look that appeals to cyclists and fashion lovers alike. This eye-catching brooch will add an urban edge to any wardrobe.